Ride your bike, walk or run to benefit Houston parks and promote physical fitness! 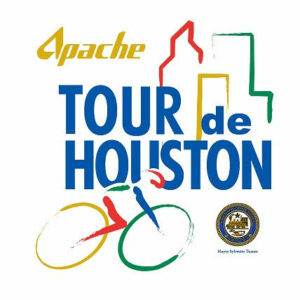 Join us on Sunday, March 19, 2017 at City Hall, 901 Bagby, Houston 77002, for Tour de Houston Presented by Apache Corporation. This is the 12th anniversary of Houston’s premier urban bike ride that starts in beautiful downtown Houston. Your registration fee will benefit the RE-Plant Houston Program managed by the Houston Parks and Recreation Department (HPARD). With three distance options, there’s something for everyone! 60-mile (61.45) route starting at 7:30 a.m.
45-mile (43.55) route starting at 8:00 a.m.
20-mile route starting at 8:30 a.m.
For those riding in the BP MS 150, this is a recommended training ride. Volunteers and cyclists will enjoy a free post-ride party back at City Hall with a live band, complimentary food, snacks and drinks. Registration is open online until March 18, 2017. The day of the event, there will be an opportunity to register in person by cash and check only. The registration fee is $40 for adults and $20 for children, 12 and under. For more details on the bike ride, including registration and packet pick-up locations, visit www.tourdehouston.org. For those who prefer to leave the bike at home, the Mayor’s Wellness Weekend also includes the 40th Annual Bayou City Classic Presented by Apache Corporation on Saturday, March 18, 2017 at City Hall. Proceeds from this event will be donated to The Houston Parks Board for trees. 10K race that begins at 8:00 a.m.
Family-friendly 5K Fun Run & Walk that begins at 8:10 a.m. Both races begin and finish near City Hall with a loop through downtown and along Allen Parkway. Registration is available only on the day of the event (pre-registration ended March 1). For more information, please visit www.bayoucityclassic.org. For more information about HPARD, visit www.houstontx.gov/parks. Follow us on social media for any changes and updates: @MayorsEvents and www.Facebook.com/HoustonSpecialEvents.